Although Vitamin K is historically known for its role in normal blood clotting function, we now know that Vitamin K is also essential to bone, cardiovascular, and nervous system health. 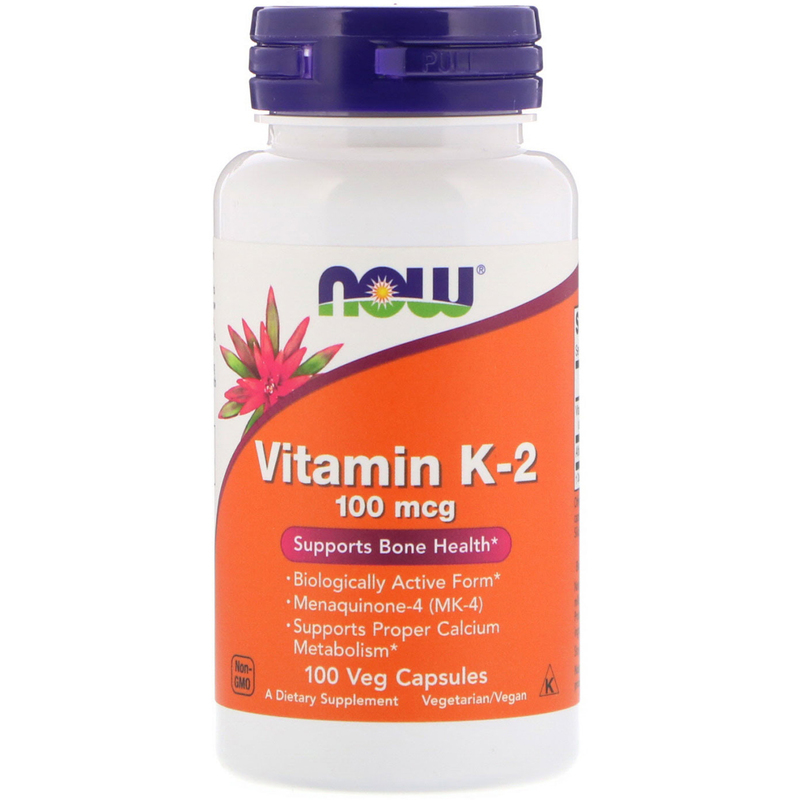 As a biologically active form of Vitamin K, K-2 is important for the formation of healthy, strong bone matrix. Vitamin K's role in arterial health revolves around its ability to support proper calcium metabolism in vascular structures. Hypromellose (cellulose capsule), ascorbyl palmitate, rice flour and silicon dioxide. Caution: For adults only. Do not use if pregnant, nursing, or allergic or contraindicated to aspirin. Consult physician if taking medication (especially blood thinners such as warfarin, Coumadin, heparin and aspirin) or have a medical condition. 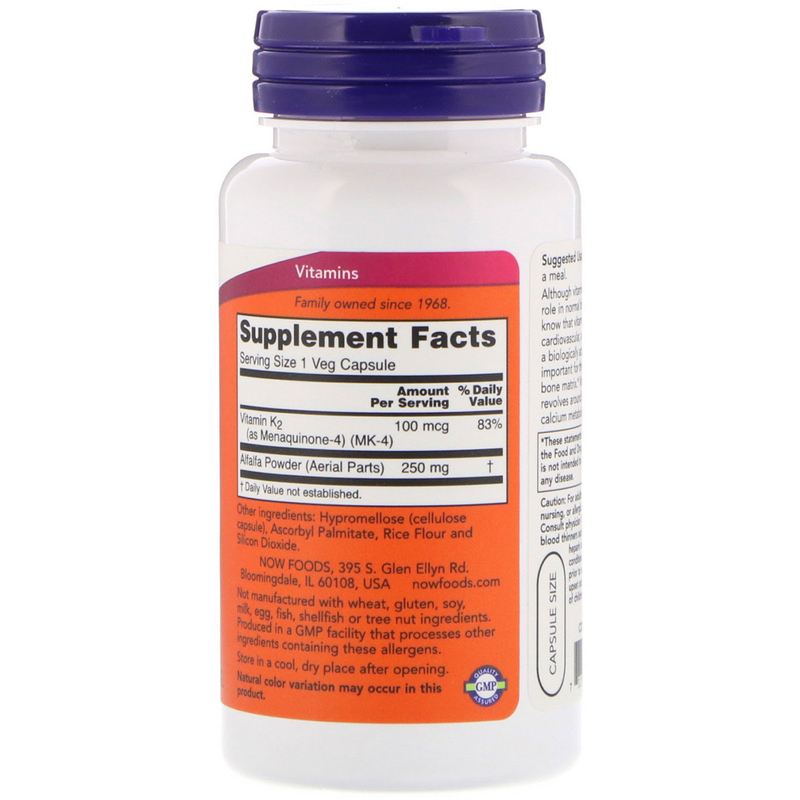 Discontinue use two weeks prior to surgery or if stomach upset occurs. Keep out of reach of children.